First, you will learn how to develop & maintain a self-nourishing practice Then, if you want to continue I'll teach you how to teach & be a pro. First, you’ll learn how to develop & maintain a self-nourishing practice & lifestyle. Then, if you want to continue, I’ll teach you how to teach and be a pro. This is program will change your life. 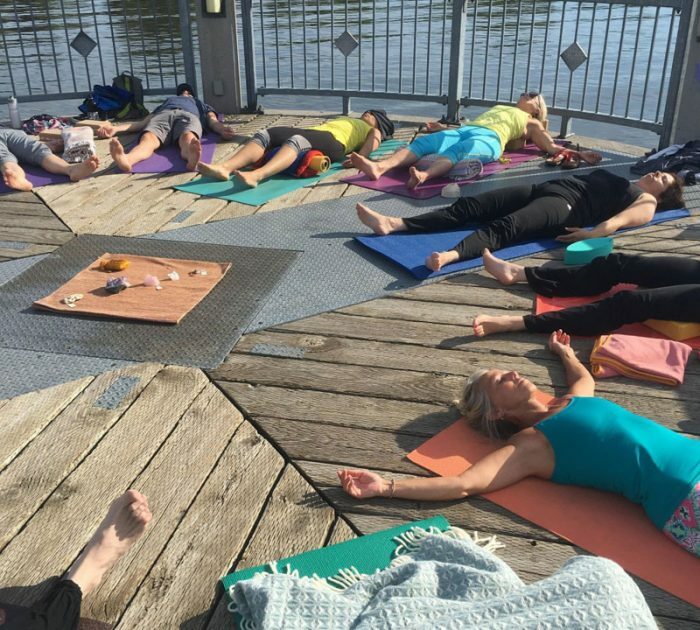 This 150 hour program is dedicated to developing a regular, self-nourishing therapeutic yoga & medication practice and enhance your personal health and energy levels by ayurvedic healing techniques to your daily living. If you are just interested in learning more, deepening your practice and healing yourself, you can stop here. Specific healing sequences for digestion, menstrual health, circulation, immunity, sleep & more. Evening routines that promote tension release, relaxation & sleep. Theses next 150 hours are for those who want to go pro and want teach therapeutic yoga. This is a professional training course and mentorship program designed to help you share yoga with others and build a success teaching business. It encourages self-evolution through advanced yoga practice and trains students how to effectively teach in a way that is thoughtful, concise, professional and grounded. How to maintain a personal practice while teaching yoga. Yasmin F. Gow has been teaching yoga for nearly 20 years and has been leading yoga teacher training programs since 2007. 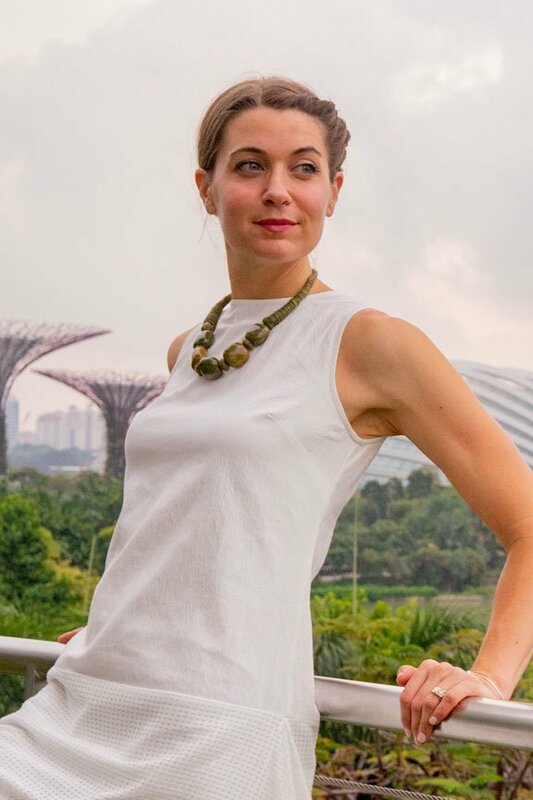 As her experience in her ayurvedic clinic deepened, she began including more and more teaching of ayurveda in her basic 300-hour Ashtanga Vinyasa Yoga Advanced Student Teacher Apprenticeship Program (ASTAP). This training is the culmination of Yasmin’s years of practice and professional experience and is a project she is truly passionate about. Program participants can expect to receive a complete immersion into yoga and ayurveda in a way that will enhance life both for the individual and for their future students. IF YOU HEART SAYS YES TO THIS TRAINING, BOOK YOUR SPOT ! PLACES ARE LIMITED AND YOU DO NOT WANT TO MISS IT. Full curriculum and application forms provided during info sessions and by request. Should you have any questions, send us an email to hello@yasminyoga.com. My name is Yasmin Fudakowska-Gow and I am a professional Wellbeing Coach, Speaker and Writer. I am an accredited naturopathic doctor specializing in Ayurveda and have taught yoga around the world for nearly 20 years. In 2010, I completed 108 days of 108 sun salutations and then became the first woman to break the Guinness World Record for the longest yoga marathon lasting 32 hours. This initiative made headlines worldwide and raised more than $15,000 for charity. I am the producer of several top-selling yoga videos, audio recordings and the author of Introduction to Ashtanga Yoga. I’ve toured Canada as a speaker with environmental activist David Suzuki, trained professional athletes and run two successful yoga studios. I travel a lot for work and pleasure and I am a mom and wife. In Old Montreal, I have a beautiful 2,o00 sq. ft multi-disciplinary studio called Loft108, where we host regular workshops, trainings, and other special events. My mission is to inspire and empower people to expand their potential, to reach great heights and to thrive in all areas of life; To support and develop entrepreneurs particularly in the wellness industry; To promote environmental sustainability and social justice. Are you ready for Therapeutic Yoga & Ayurveda Immersion (Part 1- 150 hours) Program ? Sign up here! Only $.